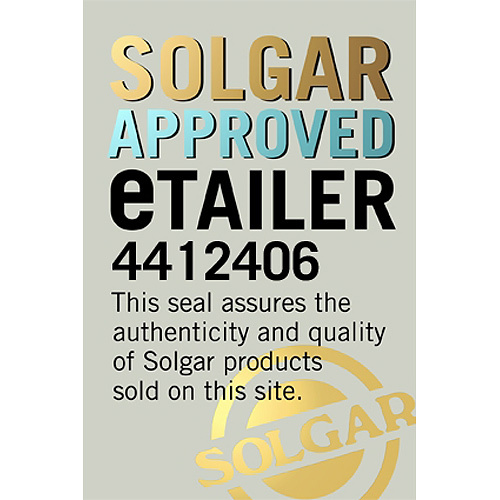 Solgar® Ester-C® Plus 1000mg Vitamin C is a high strength formula, delivering all the health benefits of this premium vitamin C in a convenient two-a-day capsule. 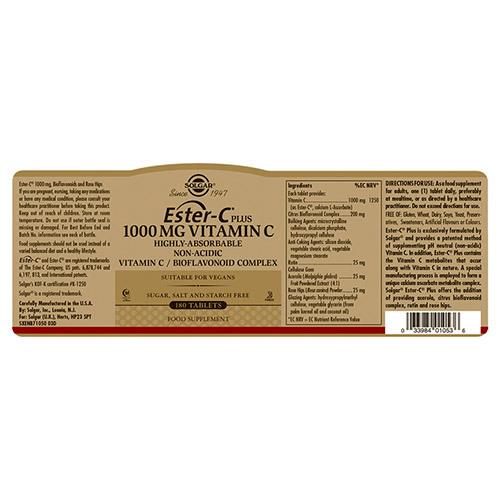 Ester-C® Plus 1000mg Vitamin C Tablets offer a gentler, more easily digested form of vitamin C which is pH neutral and non-acidic. 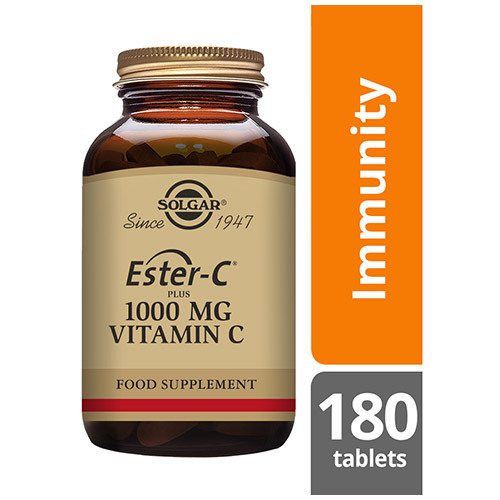 The metabolites of Ester-C® have a positive effect on the levels of vitamin C retention in the body’s immune cells, giving you superior immune support. Solgar’s Ester-C® is an exclusive formulation with additional natural plant bioflavonoids, powerful antioxidants that naturally accompany vitamin C in fruits and vegetables. Also contains: Bulking Agents: microcrystalline cellulose, dicalcium phosphate, hypromellose, Anti-caking Agents: silicon dioxide, stearic acid (made from vegetable stearic acid), vegetable magnesium stearate (made from vegetable stearic acid), Glazing Agent: hydroxpropymethyl cellulose, Vegetable Glycerin. As a food supplement for adults take one tablet daily, preferably at meal times or as directed by a healthcare practitioner. Do not exceed directions for use. 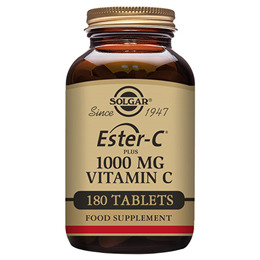 Below are reviews of Solgar Ester-C Plus - Vitamin C - 180 x 1000mg Tablets by bodykind customers. If you have tried this product we'd love to hear what you think so please leave a review. These are the very best on the market...... delivery is very fast & price point can’t be beaten. I buy all my tablets & oil from only this company. 5* All the way. Thank you.